The Mastrangelo Minute – Anyone Can Afford An Attorney! Nick Mastrangelo and Scott Bourquin discuss how you can afford an attorney even if you don’t have any money and were injured in an accident. If the accident occurred at work or on the freeway don’t let their insurance tell you it is all right without talking to an attorney. 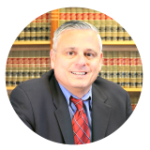 Find out from Nick Mastrangelo, an attorney with the Mastrangelo Law Offices, about how you can afford an attorney.